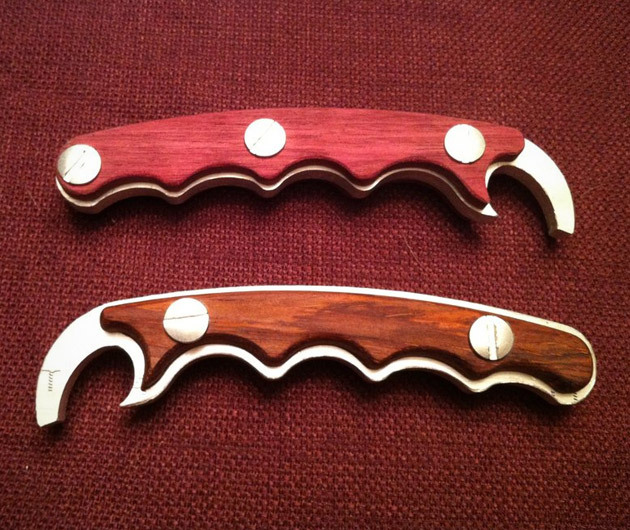 Strength and elegance have been combined to make an amazing beer bottle opener. The Beer Claw is a hand-crafted wooden and steel bottle opener which features a comfort handle grip and maximum leverage. This unique tool makes the difficulties of getting into your favorite beer or other bottled beverage a thing of the past.